Vijay Choyal, V. K. Choyal and S. I. Kundalwal. 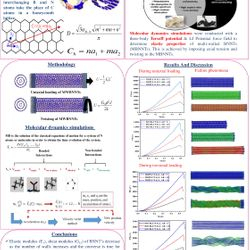 Transversely Isotropic Elastic Properties of Vacancy Defected Boron Nitride Nanotubes Using Molecular Dynamics Simulations. IEEE 13th International Nanotechnology Materials & Devices Conference (NMDC 2018) in Portland, Oregon, USA on 14-17 October, 2018. R. Kothari, S. Malviya, S. K. Singh, S. K. Sahu and S. I. Kundalwal. Thermal management of electric vehicle battery modules with phase change materials, 24th National and 2nd International ISHMT-ASTFE Heat and Mass Transfer Conference, IHMTC-2017, BITS Hyderabad, IHMTC2017-15-0805, December 27-31, 2017. R. Kothari, S. Das, S. K. Sahu and S. I. Kundalwal. 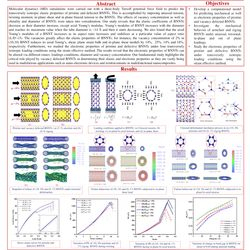 Approximate analytical model for solidification process in a rectangular phase change material storage with internal fins, 6th International Conference on Advances in Energy Research, ICAER-2017, IIT Bombay, Paper72, December 12-14, 2017. Vijay Choyal, V. K. Choyal, Ekansh Jain, Kishore Shingare and S. I. Kundalwal. Molecular dynamics study: effect of length and diameter on elastic properties of Multi-wall boron nitride nanotubes. 2nd International conference on Nano Science and Engineering Applications ICONSEA-2018, Hyderabad, India, October 4-6, 2018. V. K. Choyal , Vijay Choyal, Subhash Nevhal, Ajeet Begaley and S. I. Kundalwal. 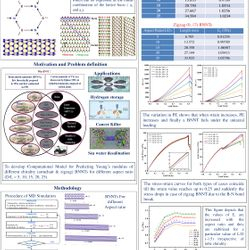 Effect of aspect ratio on Young’s modulus of boron nitride nanotubes: a molecular dynamics study. 2nd International conference on Nano Science and Engineering Applications ICONSEA-2018, Hyderabad, India, October 4-6, 2018. 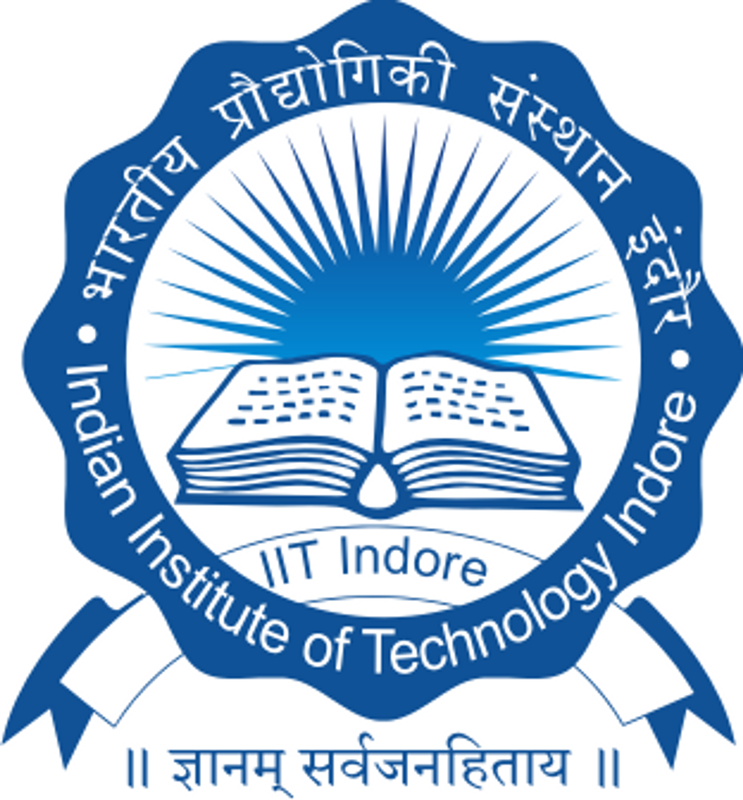 Kishore Shingare, Ankit Rathi,, Vijay Choyal, and S. I. Kundalwal. 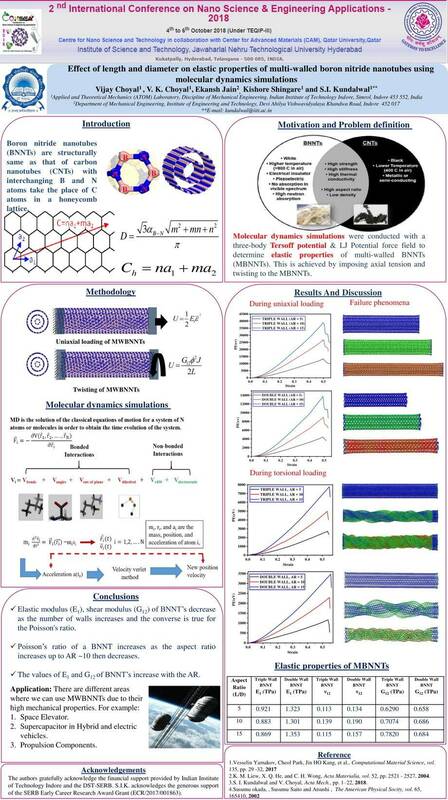 Effect of piezoelectricity on the electromechanical response of graphene nanocomposite beam. 2nd International conference on Nano Science and Engineering Applications ICONSEA-2018, Hyderabad, India, October 4-6, 2018. 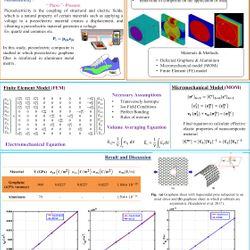 Rohit Kothari, S. P. Sahoo, S. K. Sahu, S. I. Kundalwal, Experimental Investigation of the Effect of Inclination Angle on the Performance of Phase Change Material Based Finned Heat Sinks, 7th International and 45th National Conference on Fluid Mechanics and Fluid Power (FMFP2018) in IIT Bombay, Mumbai, India on 10-12 December, 2018, FMFP2018–268.